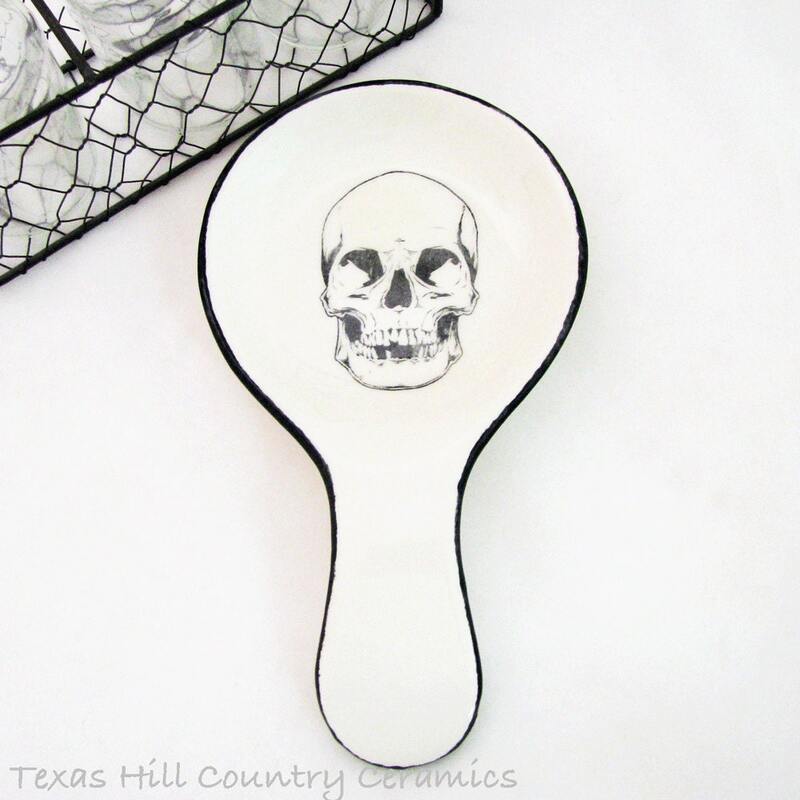 This simple large round style spoon rest is perfect for your kitchen counter at Halloween or the top of the stove to help you keep the area free of spills or messes. 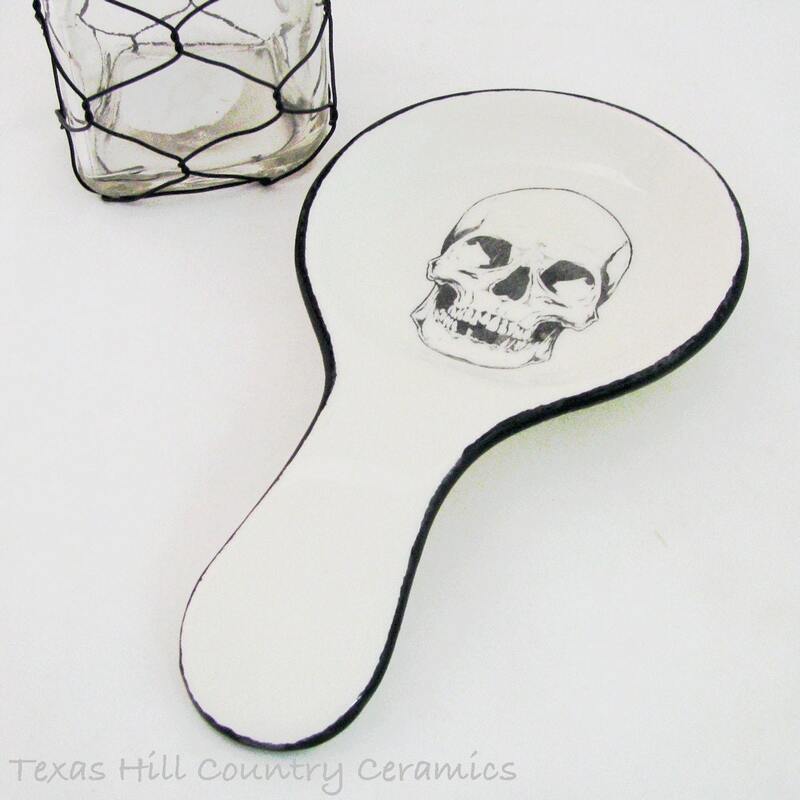 The spoonrest with the skull design and color along the edge is handprinted using black underglaze, the entire spoon rest is lightly splattered with black and sealed with non toxic lead free glaze. Also great add for Alternative decor. This spoon rest is solid cast from a ceramic mold for uniformity with clay slip and kiln fired a minimum of 2 times. During the finishing process I use many techniques and products to achieve the final piece you see. 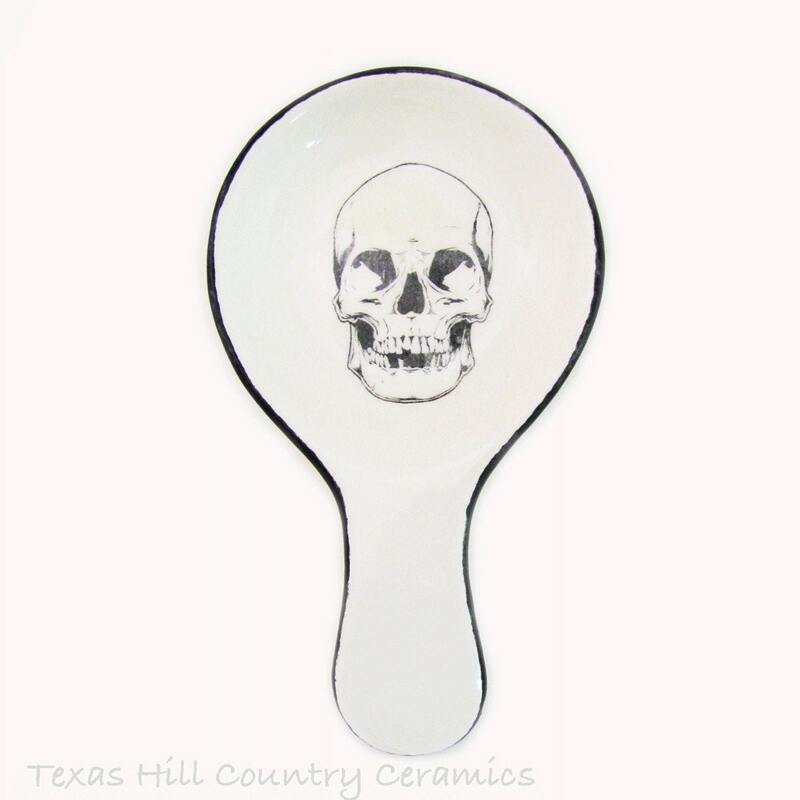 This generous size spoon rest is smooth and easy to care for, it is also dishwasher safe and the color or design will not wash off, fade or peel. The round area of the spoon rest has a generous scooped area to help keep liquids contained. it took forever to get this little thing but totally worth the wait. it adds to our entire decor perfectly ... we’re a year round halloween house. Súper fast shipping! Looks great and very well made. This was a gift for my husband and he loves it!